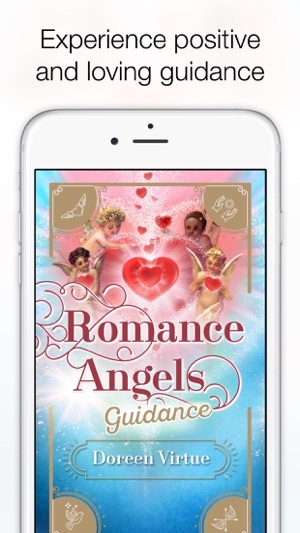 Experience positive, loving guidance as if your Romance Angels were tapping you on the shoulder throughout the day. 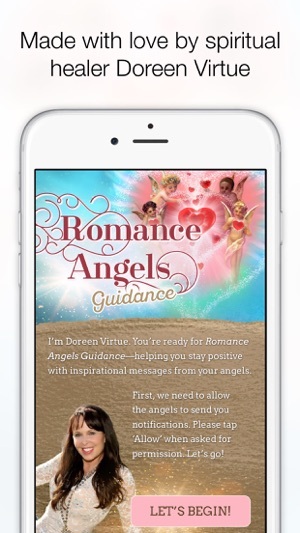 Romance Angels Guidance app sends you messages from your Romance Angels right to your device. 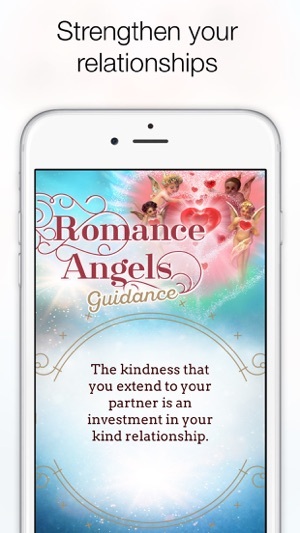 STRENGTHEN your current relationship or draw a new romantic partner to you. 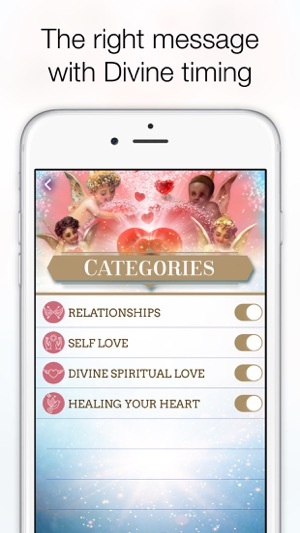 Even if you’re not currently in a relationship, you can still celebrate romance and enjoy Valentine’s Day! 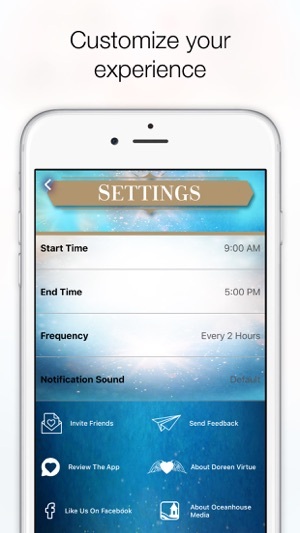 It’s about being good to yourself and treating yourself with care. 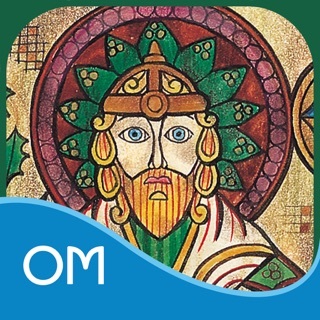 From Doreen Virtue, clairvoyant and spiritual healer.